I just simply love the home of Naja Munthe, a Danish fashion designer and co-founder of fashion company Munthe plus Simonsen. 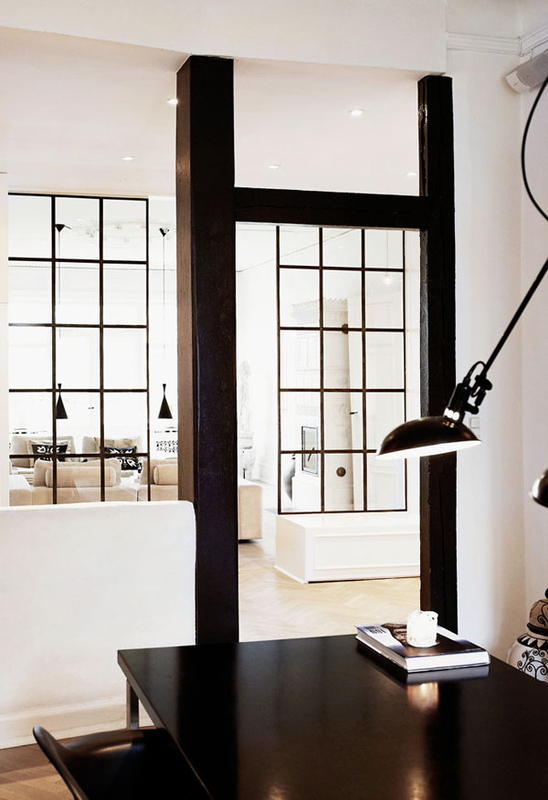 The stunning apartment in Copenhagen is filled with souvenirs from around the world, bringing a nice amount of personality, history and character to the sleek and airy interior. As a big fan of traveling I really like the idea of adding a few carefully selected ethnic pieces and details to a modern space. It’s an easy and effective way to bring the charm of foreign countries into your home. And very trendy, too! With its high ceilings and gorgeous iron-framed windows the place makes me dream… When can I move in?